As we all prepare for tomorrow’s Thanksgiving festivities, we’ll take a little field trip today from Disneyland over to Knott’s Berry Farm. 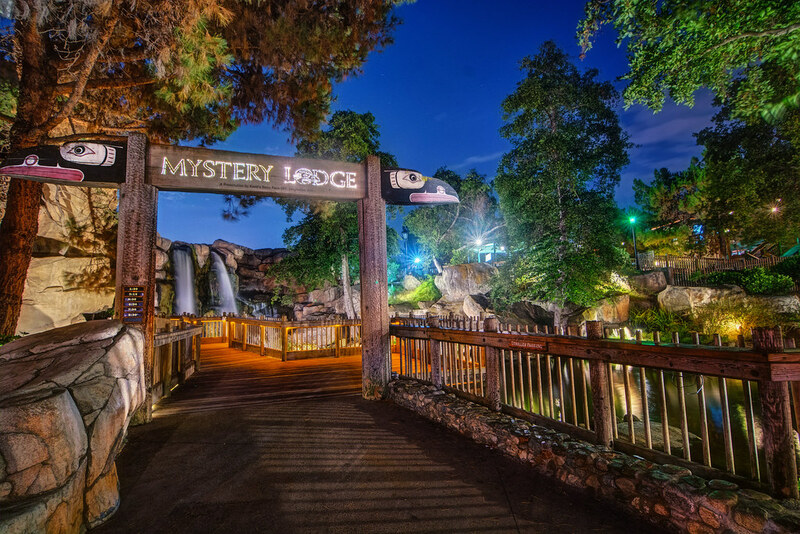 The Mystery Lodge can almost be thought of as a quieter cousin to Disneyland’s Enchanted Tiki Room. It is in many ways the opposite of the typical entertainment you would expect to find in a theme park, with an experience consisting simply of an old Native-American storyteller, sharing wisdom from days long past. The storyteller is aided with a pinch of magic along the way, but the spirit of the show always remains very calm and down-to-Earth in comparison to shows like the Tiki Room. This entry was posted in Knott's Berry Farm and tagged HDR, Knott's, Mystery Lodge, night. Bookmark the permalink.